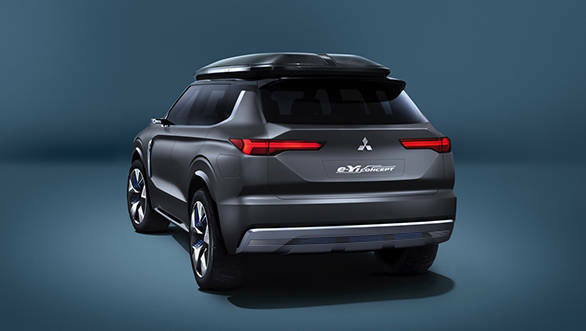 Mitsubishi is all set to showcase the e-Yi concept SUV at the 18th Shanghai International Auto Expo. The upcoming crossover SUV is said to be a plug-in hybrid with an EV range of 70kms. However, along with a 2.4-litre petrol engine, the concept crossover SUV will boast a range of 700kms. 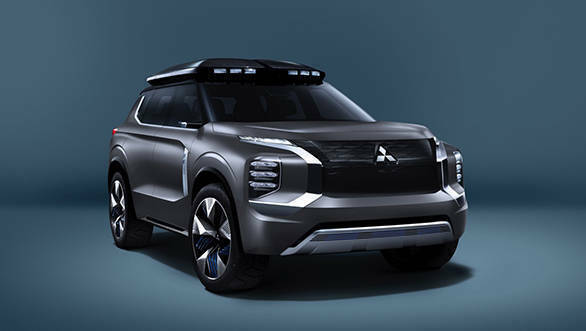 Mitsubishi has equipped the e-Yi concept SUV with two electric motors in an all-wheel-drive layout. To aid the driver, the e-Yi concept boasts of active yaw control, last seen on the Lancer Evolution X. Along with the active yaw control, the crossover SUV will feature stability control, ABS (Antilock braking system), EBD (electronic brake distribution) and different drive modes. The styling is inspired by what Mitsubishi likes to call Dynamic Sheild design. The concept sports a skid plate at the bottom of the front bumper and the roof seems to be equipped with roof rack along with high-mounted auxiliary lights. The side profile shows a boxy design and the rear design has been laid out in a hexagonal manner. Inside the concept SUV, the first thing to notice is a 12.3-inch screen for the instrument cluster as well as the infotainment system. The SUV gets premium features such as cameras in replacement of wing mirrors and the camera streams on the screen mounted on the doors.Only time will tell how many features will the SUV sport from its concept form.